Jackson Academy was recently featured in the April/May issue of Pitsco Network Magazine. 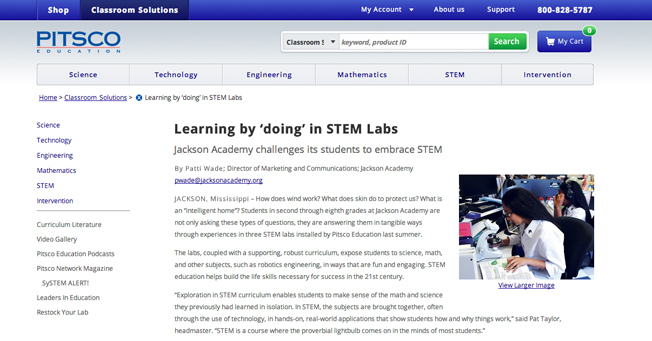 The article, written by Patti Wade, JA’s director of marketing and communications, highlights the STEM program and the benefits it provides to students. Read the full article on Pitsco.com.